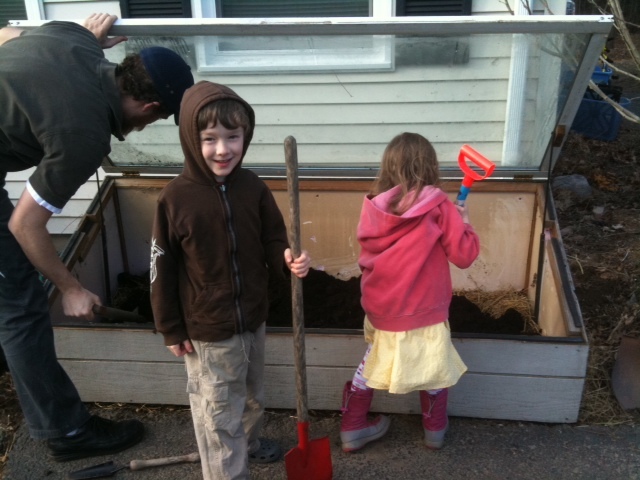 Yesterday my family and I planted our cold-frame garden, and we’re really excited! A cold-frame is basically a mini greenhouse that traps light and heat, warming up the soil inside and allowing for an extended gardening season. 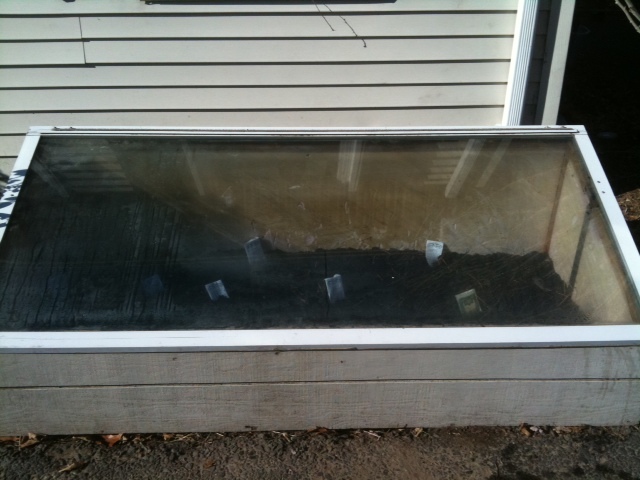 This is our cold frame. It’s basically a big wooden frame with a glass door for a lid, and a bit of insulation on the interior walls. Nothing fancy, and it’s made from all recycled materials. 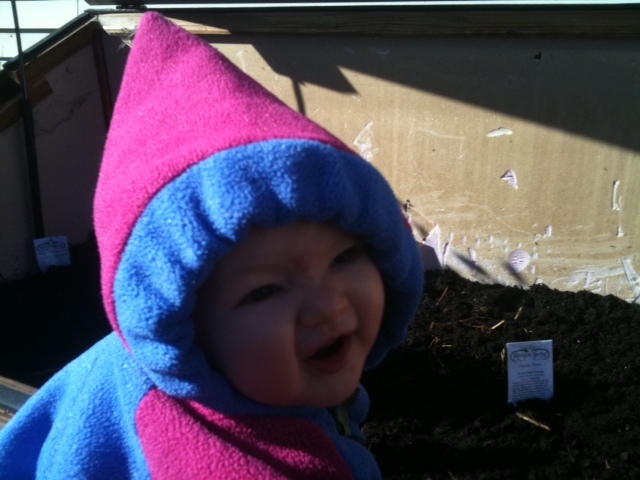 Last fall we prepared the location for our cold frame right in front of our house, which is south-facing and therefore gets full sunlight all day. Inside we added a layer of decomposing mulch hay in order to add some organic matter to the sorely depleted soil. After a few months of letting the hay decompose further, we amended the soil again by adding in a layer of organic compost. We hope the worms will like it. 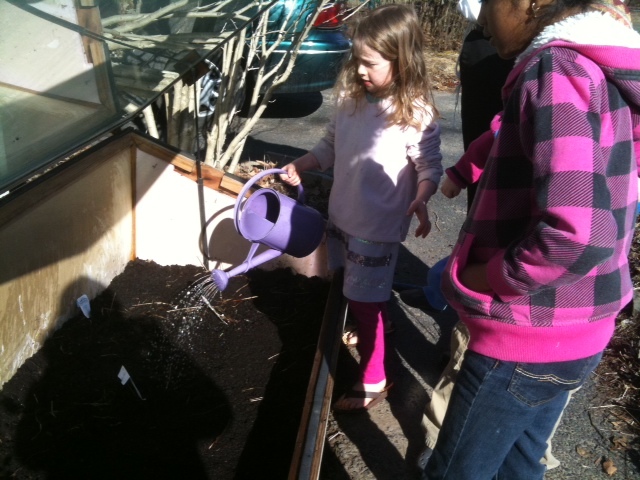 Next we waited a few days for the soil to get nice and warm inside. When I opened up the cold frame this past Sunday afternoon, it was steamy and very warm! 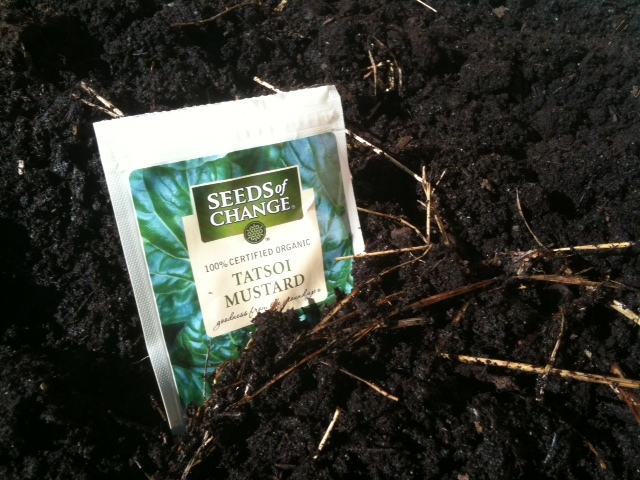 Time to plant our seeds! 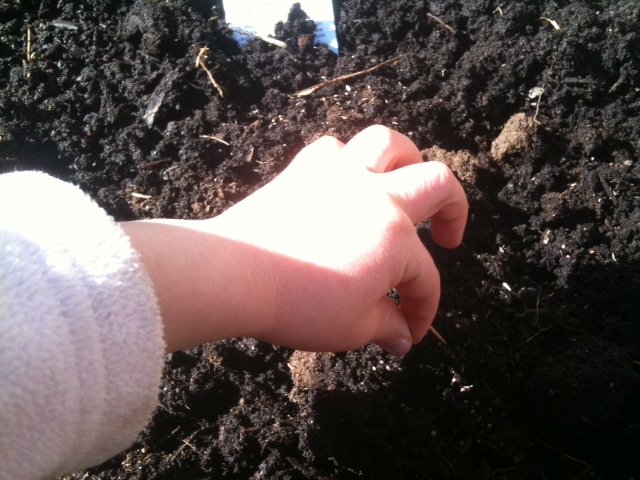 We chose cold-hardy varieties of vegetables to plant, being that it’s February. All in all we found space in the cold frame to densely plant kale, tot-soi greens, mixed cooking greens, mixed salad greens, beets, carrots, red and yellow onions. 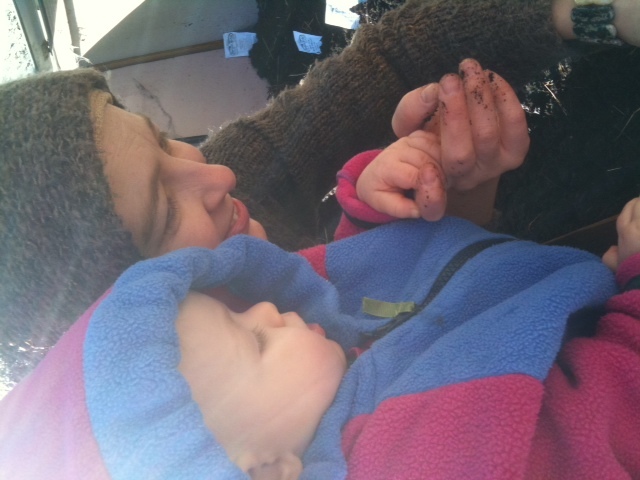 It was fun getting our hands in the dirt. I think this one was especially excited. Next we did a little watering, making sure all the seeds got moistened. Some of our neighborhood friends stopped by to join in the fun as well. So now we will wait to see what becomes of our little cold frame garden. We’ve never planted outside this early before, but I’m hopeful that soon we will be getting some yummy greens to eat… I’ll be sure to keep you posted!